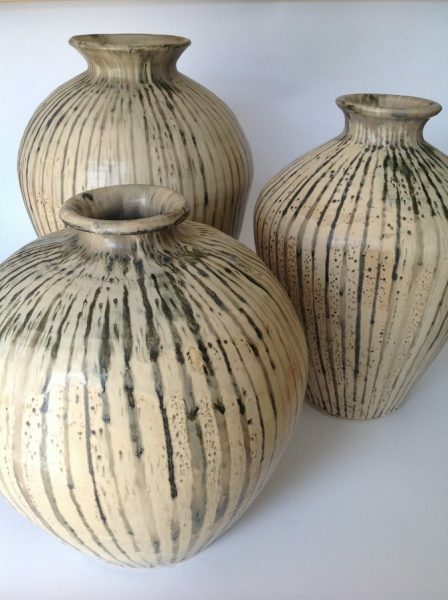 Hand thrown porcelain and stoneware in tonal and bright colours with rich runny glazes. All available in functional forms. Firing up to 1300 degrees, cone 10, the porcelain becomes translucent allowing the light to show through the white or the coloured slips contrasted against the black matte glaze, while on the stoneware the glazes break up to reveal interesting subtle textures.